HomeConsumerBuy, Finance Or Lease: How Should I Pay For My New Car? Whether your old car has given up the ghost or you just like “new car smell,” getting a new ride is a major financial decision. For many people, used vehicles are a practical option (and are almost always the better financial option). Yet some buyers want a brand-new car, which offers the peace of mind offered by a warranty and no previous owner. Some drivers simply like driving a vehicle with all the latest bells and whistles. If you have settled on a new car, the next major decision is how you will pay for it. Before you start scheduling test drives, take some time to seriously consider whether you ought to buy or lease. If you can afford to buy the car you want outright, with no financing, this may be the soundest financial option in the long run. You will not be responsible for any interest or finance charges, and will be able to avoid some of the disadvantages of both financing and leasing. However, most people don’t have the cash savings necessary to buy the car they want out of pocket. This is why most vehicle owners end up financing their purchase one way or another. Even with financing, however, buying is the better deal versus leasing unless you know you plan to trade in your vehicle every few years. The longer you own a particular car, the more you save over leasing an equivalent vehicle. And, assuming you have a well-made car and do not run afoul of any major accidents, you may have years with no car payments at all once you pay it off. In addition to the overall cost difference, buying means that you have the freedom to sell or trade in your car at any time. You also have the freedom to keep it as long as you like. This can create much more flexibility down the line than lessees can expect. If you sell a car you own outright, the cash value is yours to use any way you want. Buying a car also frees you from worry about incidents that can trigger fees in a lease. For example, you can drive the car as many miles per year as you like; go ahead and take that spur-of-the-moment road trip. Wear and tear on the car, whether inside or out, only matters inasmuch as it might affect the car’s ultimate resale value and your own comfort. And if you want to customize your car in any way, the choice is yours. While these advantages are substantial, purchasing a vehicle does come with downsides. Most dealerships require a higher down payment for a financed purchase than for a lease, in many cases 10 to 20 percent down. Monthly finance payments will also be higher than lease payments on an equivalent vehicle, because you are paying off the entire purchase price, plus interest and finance charges. If you know you are the type of person who will want a new car in a few years regardless of how well your old one runs, you may end up paying enough in finance charges that leasing is the more logical option for you. If you own your vehicle, you also roll the dice on its potential resale value. Most drivers know that a car starts to depreciate the moment you drive it off the lot. How fast it depreciates, and how its condition fares over time, will become your problem if you plan to trade it in or sell it one day. You will also be responsible for maintaining that condition; after the warranty expires, repairs and upkeep will be entirely your responsibility. Many people think of leasing a car as equivalent to renting a home. While the two arrangements do have some aspects in common, leasing a car is a little bit different from renting real estate. When you lease a car, you borrow the car’s entire value, less any down payment or trade-in value specified in your lease arrangement, just as you would if you were financing a purchase. As in a regular car loan, you will be charged interest. However, when you lease, you only pay back the depreciation, rather than the vehicle’s full cost. At the end of the lease, you return the car to make up the rest of the loaned amount. Some leases may give you an option to purchase – often known as “lease to own” arrangements – but your lease payments do not mean you have built any equity in the car. First you lease, then you buy, even if you arrange to buy at a discount. One of the biggest reasons people lease rather than buy a car is because leases offer lower monthly payments for an equivalent vehicle most of the time. You are covering depreciation plus “rent charges,” or interest, rather than paying off the car’s full value. The down payment is usually lower too; sometimes a dealer will waive a down payment altogether for a lease, which seldom if ever happens when financing a purchase. A lease also relieves a driver of the hassle of disposing of a car once he or she is done with it. As long as the vehicle is in good shape, at the end of the lease you hand over the keys and walk away. This also means depreciation is not your problem. The future resale value is set in the original lease agreement, so if the car turns out to be worth less than expected, it is the dealer’s problem, not yours. Lease terms are usually such that the car’s factory warranty covers repairs for most or all of period in which you will lease the car. 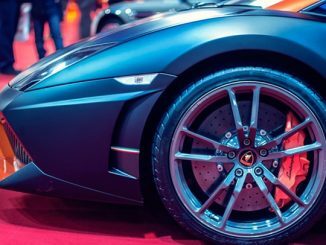 And for some people, the appeal of knowing they will have a new car every two or three years is so attractive that leasing makes sense when factoring in finance charges and interest on an equivalent purchase cycle. The two major downsides of leasing are lack of equity and lack of flexibility. As with any property you rent rather than own, you do not have the benefit of knowing each monthly payment is building an increased interest in the property. This also means that a lease costs more than an equivalent loan in the long run, even if it is cheaper month-to-month, because you do not recover any portion of your payments in trade-in or resale value. A lease is also a commitment for a set period of time. You cannot just sell a leased car if you find yourself in a cash flow crunch or return it if you no longer need it. If you do need to end the lease early, the early termination charges will often end up just as expensive as sticking to the contract. Breaking the lease may even cost more once you factor in early termination fees. You also may find yourself responsible for an assortment of fees when you return your leased car. If you drive over the mileage limit, which is typically 12,000 or 15,000 miles per year, charges can add up quickly. The same is true if your car shows wear and tear beyond what the dealer considers “normal,” which is a major reason why drivers with young children or pets often find leasing impractical. Lessees will also want to be sure they are diligent about oil changes, tire rotation and other upkeep to avoid more than “normal” wear. And if you have made any modifications to your car, they must be reversible or you will be charged for residual damage. Leasing a car typically involves more complex paperwork than does buying, even if you finance. Moreover, you will almost always need excellent credit to qualify to lease at all; buyers with bad credit have to shoulder higher interest rates but can typically still get a loan unless their credit is truly awful. Unless you buy your new car outright, you will need to pay financing charges whether you buy or lease. But in general, finance charges are much higher for lessees than buyers, though in most states this difference is partially offset by a sales tax break on lease payments. Lessees may also need to pay lease initiation fees at the beginning of their lease or disposal fees at the end, expenses that buyers will not need to worry about. If the major sticking point for purchasing is the relatively higher monthly payment, you can consider opting for a longer term loan to bring the payment down. However, because cars depreciate over time, longer loan terms increase the chance of going “upside down” on the loan – that is, finding yourself in a situation where your vehicle is worth less than what you owe. Longer loan terms also often mean you will end up paying more interest over the course of the loan. 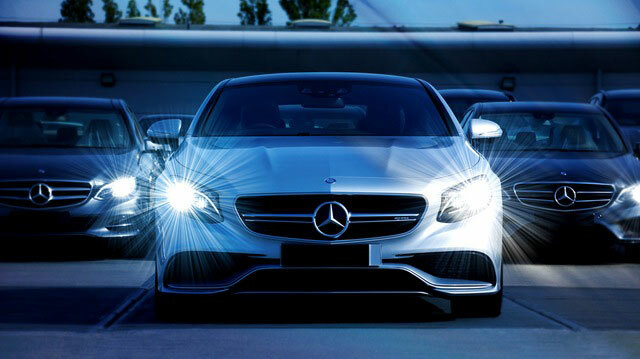 Still, even with these concerns, a longer loan may offer advantages over leasing for many drivers. Whether you buy or lease, you should always negotiate price with your car dealer. Some experts claim you will get a better deal if you negotiate as if you plan to buy the car, then say you plan to lease after you and the dealer settle on a price and trade-in value. If you plan to finance a purchase, you should also beware of simply accepting the dealer’s finance offer without shopping around. Apply to more than one lender so you can compare options. Do not only consider the interest rate, but also the loan term and any other fees, such as a prepayment penalty. As with any major purchase, taking the time to fully weigh the pros and cons of car payment methods will yield long-term benefits. There is no one right answer, but if you successfully match your decision to your needs and lifestyle, you can drive off the lot ready to fully enjoy that new car.